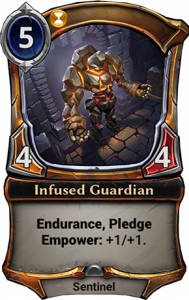 Defiance is coming soon, so we’re kicking off spoiler season with a powerful new mechanic, and we mean that in the most literal sense. Let’s take a look at Pledge! Pledge: On your first turn, a card with Pledge can be played as a Sigil. On your first turn, you get to decide – do you want a 3/3 for 3, or do you want to play this as a Justice Sigil? 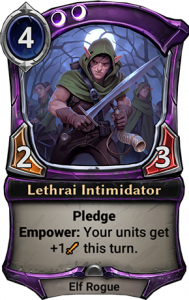 Pledge gives you flexibility and helps you hit your power drops, while also giving you protection against drawing too many power in the lategame. 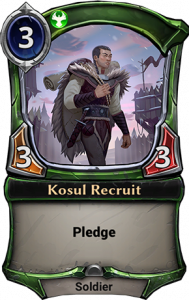 Imagine an opening hand with two power, Kosul Recruit, and four non-power cards. Getting to play Recruit as a Sigil there is a huge boon, and drawing more Recruits later in the game is likely better than drawing excess power. 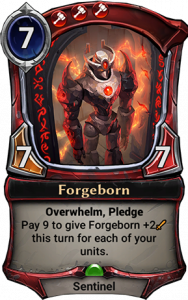 Pledge on a 7-drop makes the Pledging decision even easier. You’re often going to prefer a Fire Sigil over a 7-cost card on turn one, and later in the game, this packs a huge punch. 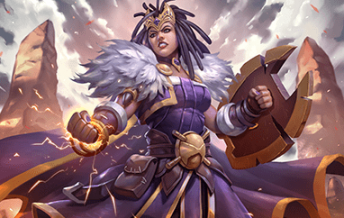 It also plays nicely in decks that generate a lot of units, which is convenient in a faction that includes Grenadin. Here, you have a card that helps you hit your power drops and can let you save your other power for later, which plays nicely with Empower. It also offers a sizable body by itself, and grows larger and larger as time goes on. By itself, this may not be the most intimidating, but given enough units it can represent a ton of damage. It also combines effectively with other Elves, such as Shadowlands Borderscout, leading to some good synergies even outside of the Vision faction combination. There’s plenty to discover in the Shadowlands and, given a couple buffs, the Borderscout can find you all the cards you’ll need. 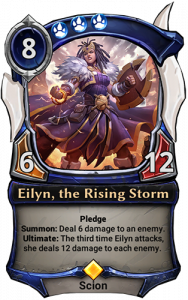 It also doubles as power, thanks to Pledge, making your deck that much more consistent. You can channel your energies into slamming Eilyn, and she will richly reward you. Getting to play 8-cost cards that double as power will put the power in your hands, as it were, and where you go from there is up to you. Ready to see more of Defiance? 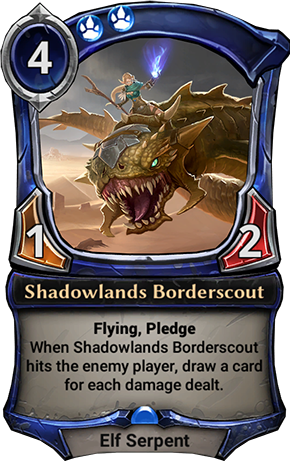 Tune in Sunday at 11 am MST (18:00 UTC), for coverage of the Finals of ECQ: Defiance and more spoilers from the new set, live on Twitch! © 2019 Dire Wolf Digital, LLC. All Rights Reserved. Eternal is a registered trademark of Dire Wolf Digital, LLC.